The rules contained in the Florida Evidence Code apply to all family cases. The requisite evidence may be established by lay or expert testimony, so knowing when each is proper and how to qualify someone as an expert is imperative. Demonstrative evidence, reports, or summaries may also be used, so it is also important to know how to admit those as exhibits. Thus, the rules of evidence play a central role in resolving family cases at both the trial and appellate levels, as the failure to object at trial contemporaneously with admissions of contested evidence is a waiver of the right to appellate review of that issue. 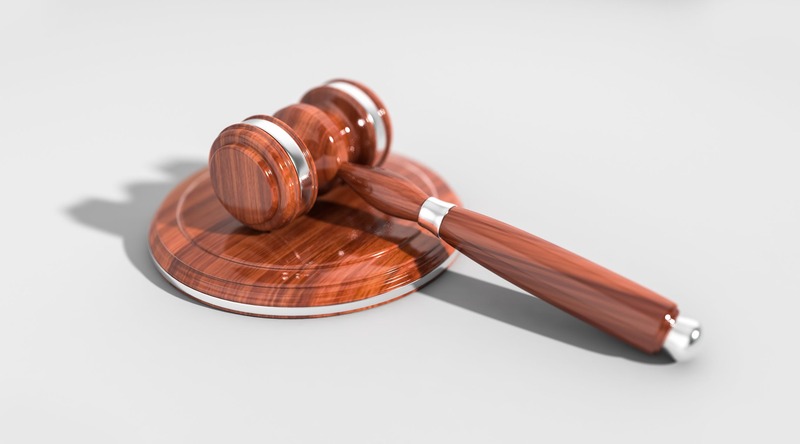 Therefore, it is critical to understand how and when to use these rules to best assist you in the presentation of your own case, or in the opposition of the opposing party’s case. Besides the client’s perspective, the trial judge’s impression of your grasp of the evidence rules may also be pertinent, as an unsure judge may more likely to rule your way on an evidentiary objection if they believe you know your stuff in that regard. Generally, minor children are not permitted to be involved in the legal aspects of family law cases. Florida Family Law Rule of Procedure 12.407 provides: “No minor child shall be deposed or brought to a deposition, brought to court to appear as a witness or to attend a hearing, or subpoenaed to appear at a hearing without prior order of the court based on good cause shown unless in an emergency situation.” The Florida Supreme Court has approved forms for use in compliance with that rule. However, in juvenile and dependency cases, children are considered parties to the case and have the right to attend all hearings. A child may be excused from juvenile and dependency court attendance when attendance is not in the children’s best interest. If the judge does find it appropriate for a child to testify, the child’s age may necessitate an inquiry by the judge into the qualification of the child as a witness. Since Florida has a general rule of competency, see section 90.601, the issue is of qualification. A witness is only disqualified from testifying if he or she is either: (1) incapable of expressing himself or herself concerning the matter in such a manner as to be understood, either directly or through interpretation by one who can understand him or her; or, (2) incapable of understanding the duty of a witness to tell the truth. These disqualifying factors apply equally to child witnesses. A child witness’ qualification is a question of fact to be determined by the trial judge, and is “reviewed according to an abuse of discretion standard.” Flores v. State. The court may need to know the minor child’s preference regarding parenting or time-sharing issues if the child is mature enough to formulate and express an opinion on same. In fact, the child’s preference is one of the factors the court may consider in determining an appropriate parenting plan. Typically, the older the child, the more deference the court gives to preference. However, a child’s preference “cannot control the disposition of custody” and is not, “standing by itself, a material change of circumstances which will support a custody change.” Elkins v. Vanden Bosch. While evidence of the minor child’s preference may be the actual testimony of the child, there are other methods by which the fact may be presented to the court. There may be times when a party or the judge wants the judge to speak with a minor child alone. This is because it is believed that a child may feel free to tell the judge things that the child would feel uncomfortable saying in front of one or both parties. Florida rules of juvenile procedure and Florida statutes allow a court to speak with the child in-camera in dependency proceedings without the parties’ consent. However, the in-camera interview must be recorded unless the parties agree otherwise. Hearsay is a very complicated area of evidence. One hearsay exception is the statement of a child victim. There is a limited exception to the rule excluding hearsay for statements made by children with a physical, mental, emotional, or developmental age of 16 or less describing acts of child or sexual abuse. Only statements that describe the acts of abuse are included in the exception. The prerequisites for invoking the exception are a determination that the statement is reliable and “the child either: (a) testifies; or, (b) is unavailable as a witness, provided that there is other corroborative evidence of the abuse or offense. “The Statute specifically states that the applicability of this exception shall be determined ‘in a hearing conducted outside the presence of the jury’.” Florida Statute 90.803. With respect to the reliability determination, the Florida Supreme Court has stated that it is “reversible error” for a court to fail to place “on the record specific findings indicating the basis for determining the reliability of a child’s statements.” Therefore, “a mere conclusion that a child’s statements are reliable or a mere restatement of the statute in a boilerplate fashion is insufficient to meet the requirements of the confrontation clause.” State v. Townsend. Any other applicable hearsay exception contained in the Florida Statutes may be used to admit a child’s out-of-court statement. The most common exceptions will be a spontaneous statement or excited utterance. The primary distinction between those two exceptions is the temporal proximity requirement. For a spontaneous statement, the out-of-court statement must describe or explain an event or condition and have been made “while the declarant was receiving the event or condition, or immediately thereafter.” The spontaneity requirement means that “these statements must be made without the declarant first engaging in reflective thought.” J.N. v. State. For an excited utterance, the statement will be admissible if it was made when “the declarant was under the stress of excitement caused by the event or condition.” Florida Statute 90.803. The Florida Supreme Court has enumerated the elements: “(1) there must be an event startling enough to cause nervous excitement; (2) the statement must have been made before there was time to contrive or misrepresent; and, (3) the statement must be made while the person is under the stress of excitement caused by the event.” State v. Jano. An excited utterance is admissible as an exception to the hearsay rule “because the declarant does not have the reflective capacity necessary for conscious misrepresentation.” Rogers v. State. Kenny Leigh and Associates is a firm that exclusively represents men in the area of family law. For more questions concerning this or any other family law matter, go to divorcemenonly.com.